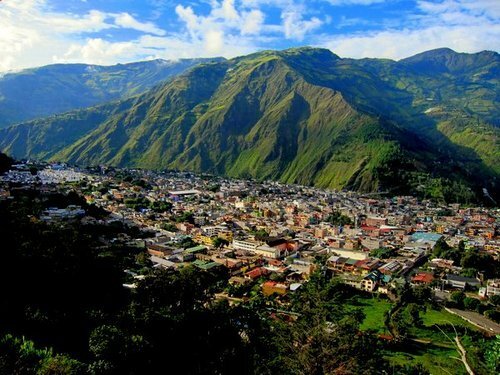 Banos is one of our favorite destinations from South America. Just to give you an idea, its nestled in a beautiful green valley, surrounded on all sides by mountains, one of which happens to be an active volcano. Its also Ecuador’s adventure capital. The term Banos literally means baths – the town has a natural spring for that very purpose. Yes, the Banans (?) sure do like to live on the edge. 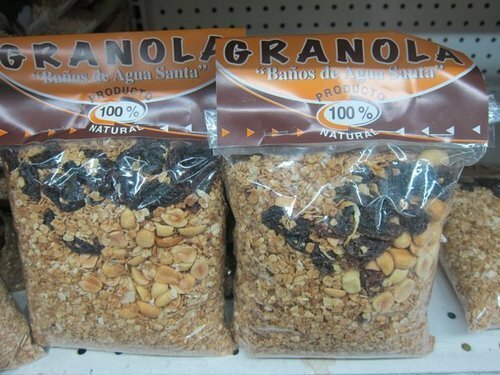 If you take a bus ride into Banos from any nearby city/town, say Quito or Latacunga, you’ll feel like you have left something weighty behind you and something heavy was just lifted off your shoulders. or this, among other delicious goodies at Casa Hood, which is owned by an expatriate-local couple. There is a small library from where you can choose to read a book while you wait (I nearly finished a novel, I made that many trips here!). I chatted with a friendly staff member here and she said they were considering bringing in some vegan baked goodies at some point. The other awesome place at Banos is El Paisano (Vieira near Martinez, Banos, Ecuador), which is run an incredibly friendly Ecuadorian gentleman who also happens to be an artist. You can see his colorful and vibrant artwork displayed on the walls of his restaurant, also for sale. 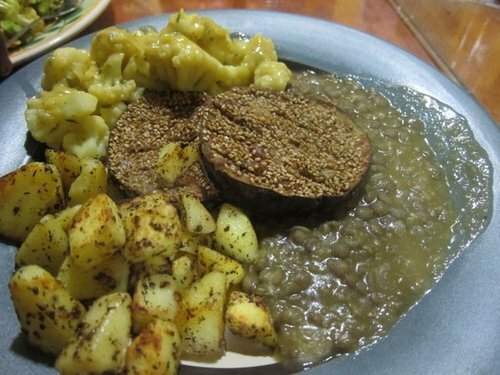 He is very clear about dairy-free dishes and will plate you some really yummy goodness. 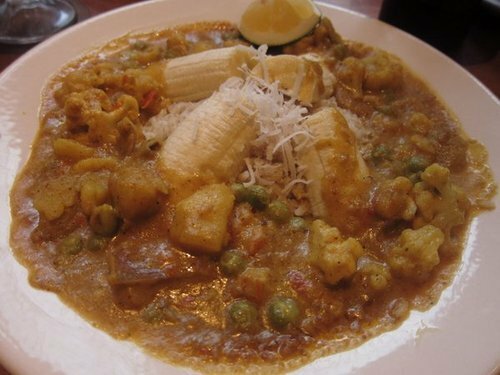 His dishes are rich in vegetables and lentils and minimum seasoning, so it feels really fresh and healthy. 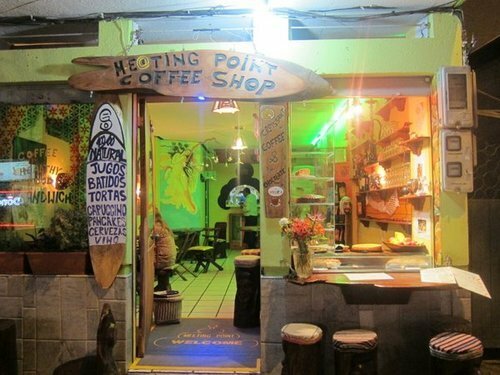 Last but definitely not the least is Meeting Point cafe. 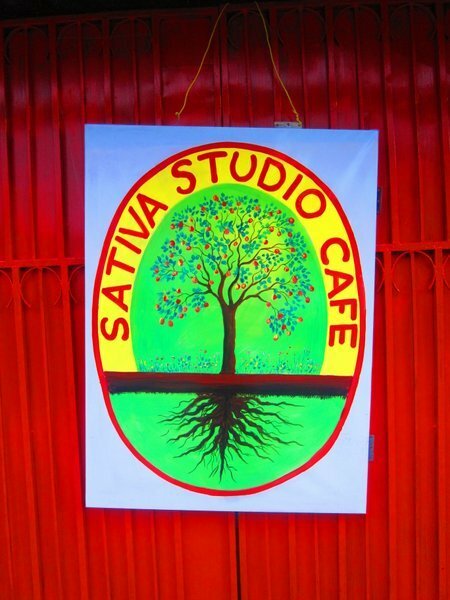 The owner German has traveled extensively (even to India) and returned home and opened a cafe. German has coffee, food, free wifi and is great company especially when he has time to chat. 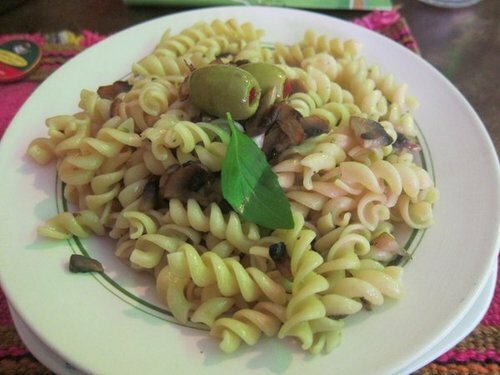 Vegan pasta made just for me. 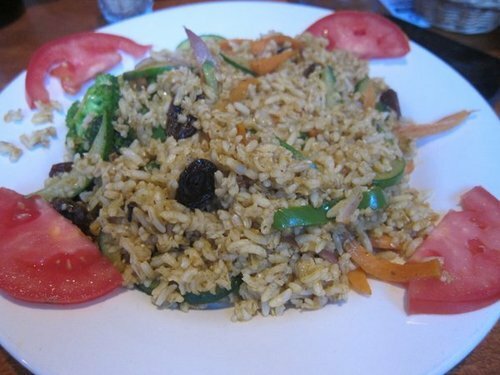 It looks very simple, but it had all the right things – some olive oil, lemon, salt, pepper and mushrooms. 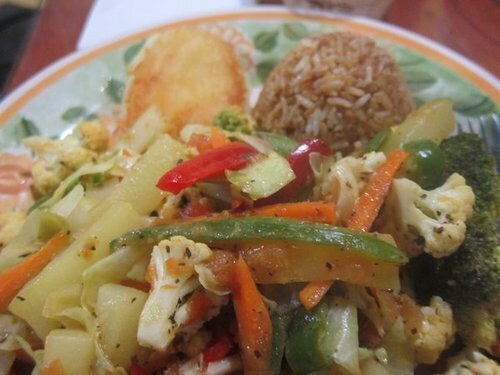 Banos has many vegetarian friendly restaurants, thanks to its international crowd. At the same time, the prices arent backpacker friendly on a sustained basis. 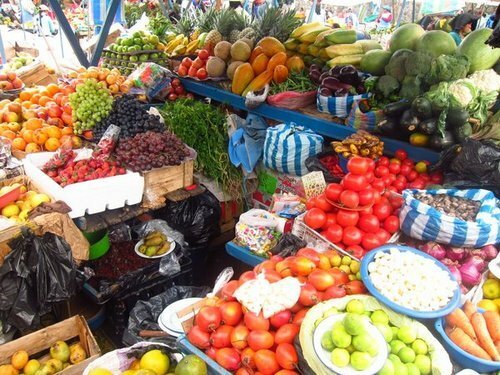 However, with a market like this, we chose to cook most of our meals in the hostel kitchen. Another little cafe that I spotted, but they were never open the time I was there. Just across the street from Casa Hood. Maybe they are open now? 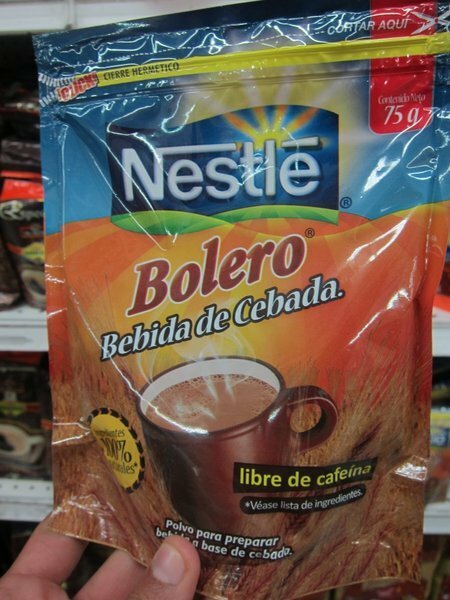 Bolero, an instant barley drink, caffeine free and hermetically sealed. Didnt try this out, but this would be something I’d carry in my pack for instant nutrition.